I have been having a lot of fun playing in the pool the past couple of days so I thought I would share some photos with you. Also, Dobby(e) Winnick, got a new pool for his birthday that is just like mine only round, but he doesn’t know how to swim in it. So he can use this blog post to get some pointers. There are two basic swimming styles, surface swimming and submerged swimming. In the photo above, I am doing surface swimming. I hardly ever do that so this blog post isn’t going to have any more photos of that type of swimming. I hope Dobby isn’t a surface swimmer because this blog won’t do him much good if he is. Let me tell him, just in case he doesn’t know, that submerged swimming is much more fun. 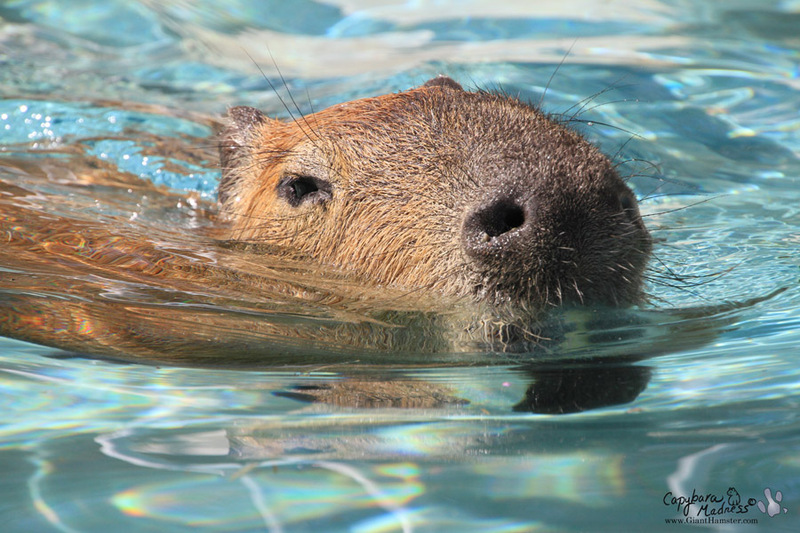 There are three things to remember during submerged swimming: 1) fold your ears back to keep out the water, 2) curl your nose to keep the water from going into your nostrils, and 3) keep your eyes open so you don’t run into things. Oh, and 4) things in the water may be closer than they appear! 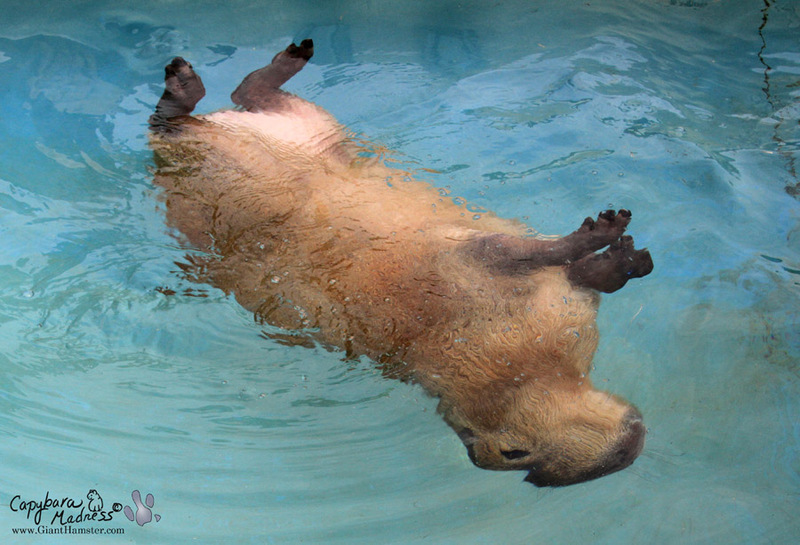 Okay, I lied, the photo above is another example of surface swimming. But I was just coming up for air. Still, see how nicely positioned my paws are? The front left paw is stroking downward to keep my head up while the back right paw is pushing me forward. Note that my ears are not folded back and my nose isn’t wrinkled, but my eyes are still open. That is because you don’t want to run into things while surface swimming either. 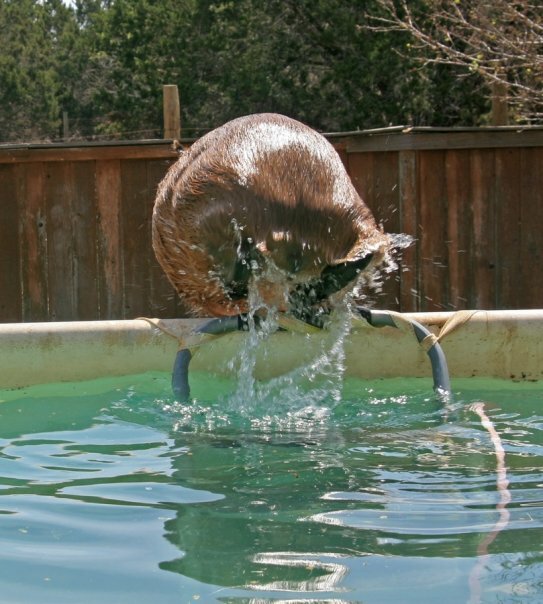 This does not count as surface swimming even though my front paws are on the surface. The only part that has to be below the water for it to count as submerged swimming is your head. This is still submerged swimming! 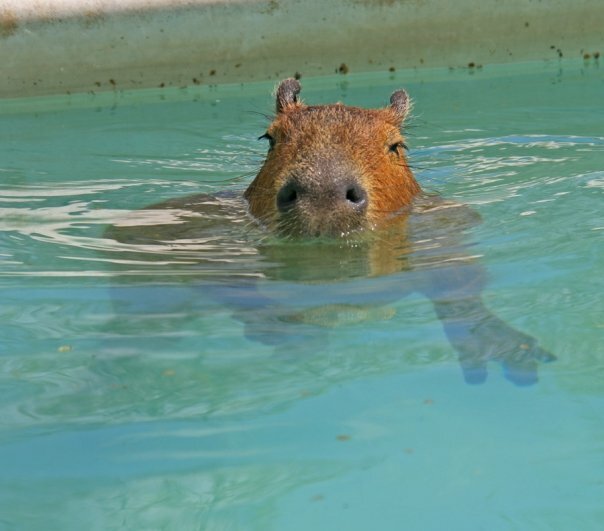 That still counts are submerged swimming because more than 50% of my head is under the water. Another way you can tell is that my ears are back and my nose is curled. I know, it is all so very complicated! Constant practice is important to keep your skills up no matter what type of swimming you do. 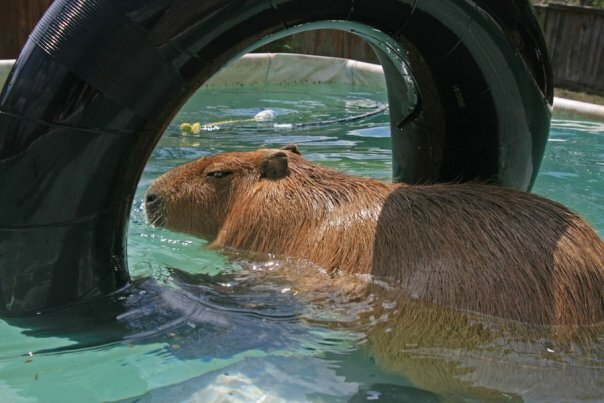 Rolling, of course, is the most difficult swimming maneuver. 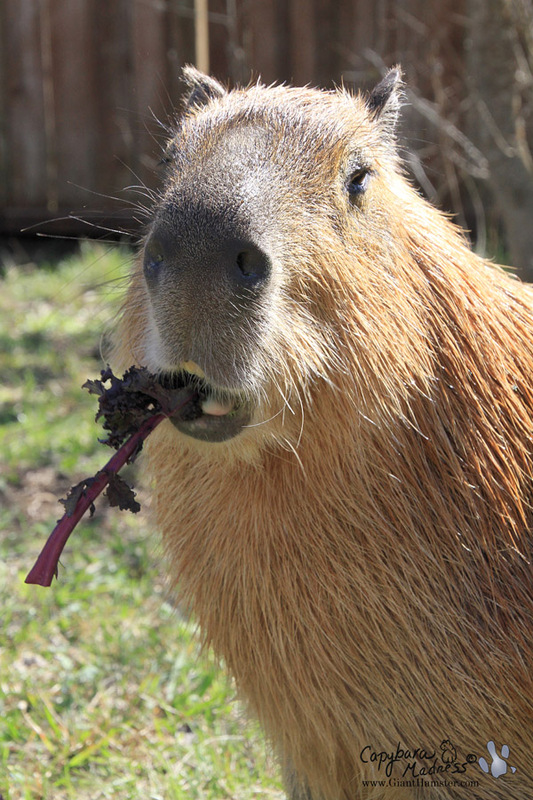 We should not disparage Dobby just because he doesn’t roll, most capybaras do not. 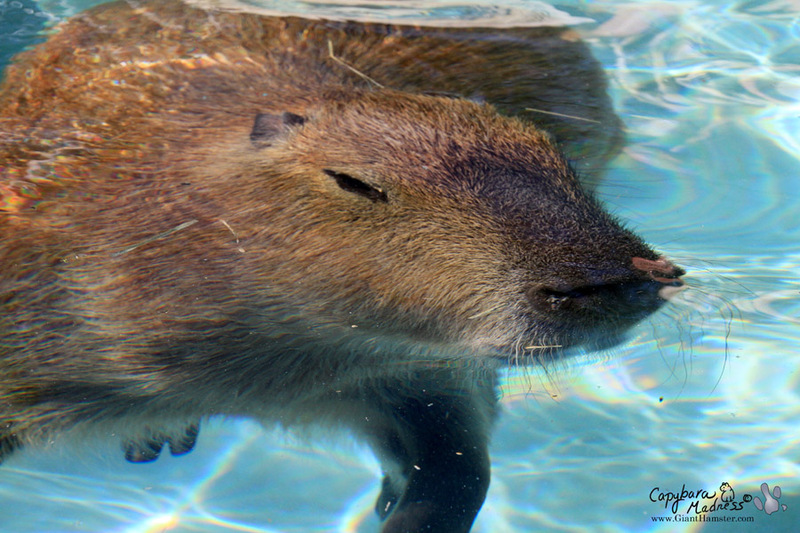 Even the best capybara ever, Caplin Rous, never even rolled once in his whole life. If you want to try rolling yourself, just remember to twist your whole body and make sure you lead with your nose. It is helpful if you have a big nose but I don’t think it is strictly necessary. Sometimes it is beneficial to have someone throw you on your back, or start you off with a little twist. I don’t need this help, being as rolling is my superpower. The above photo is just for demonstration purposes. 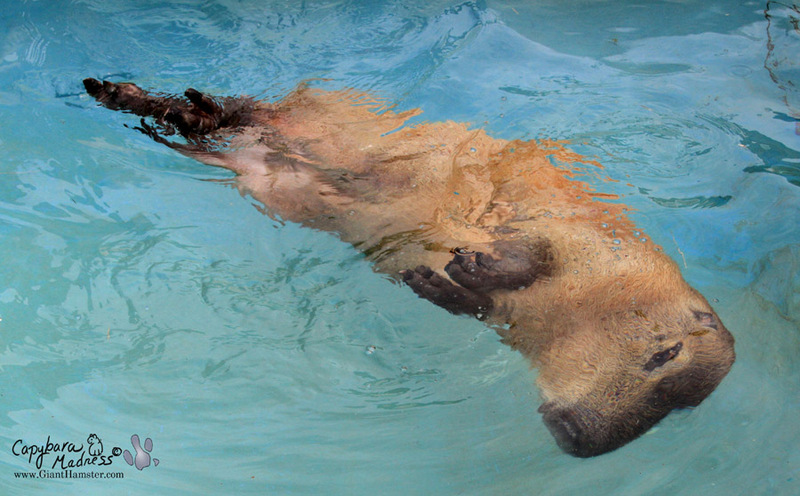 Remember that active swimming, and especially rolling, is very strenuous exercise. 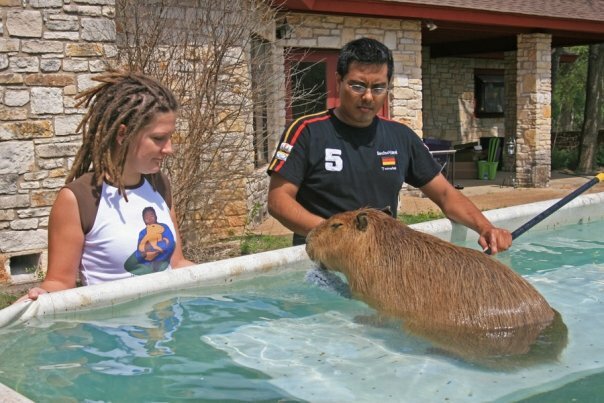 You’ll need to make sure you have a snack handy for when you get out, or even when you’re in the pool if you can get someone to feed it to you. What a fabulous swimmer you are! I’ve never seen such elaborate rolls. It must be so much fun to swim with you. 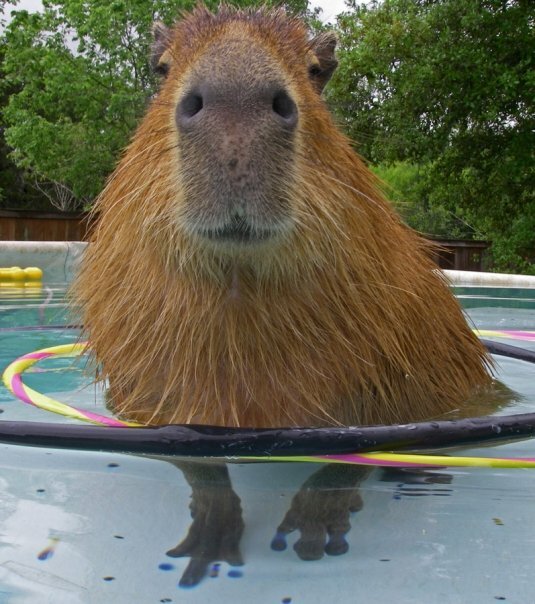 I see you are getting used to using your button to ask for treats, and even from the pool. So glad that treat was still waiting for you after you got out of the pool. Great storiy today, Gari! I think yr swimming lessons will help the sweet Dobbye! 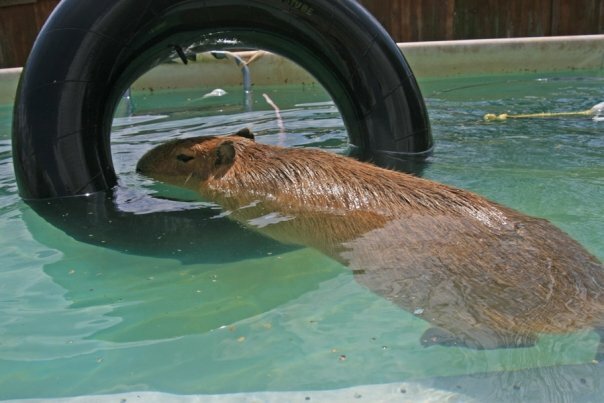 Yr swimming ability is amazing! And it’s good to have yr Rick by the pool. Swimming is more fun w/ a friend! 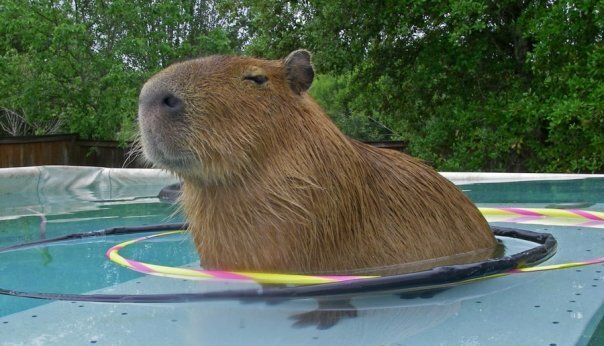 I guess you don’t know about Lazy Capybara swimming. That’s when you walk around on the bottom with your head up and PRETEND to swim. 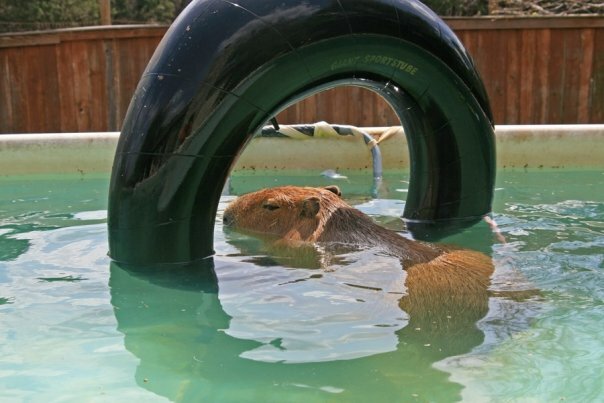 My new pool is a little bit deeper than my old one but I think I can still do it. If your water is green enough it is very effective, and you can just stand there and it looks like you are hover-swimming. Oh my, rolling does seem complicated, but looks like a lot of fun! I can see why you’d need a snack afterwards. I’m envious of your superpowers.